Firstly, many thanks for the superb comments on my last blog regarding Dealership customer care or, in some cases, a distinct lack of it. My present other half is trying to talk me into writing a book about the plights of the salesman so, if any of you well-informed fans of this site would care to send me your tales of car buying from dealers, I would love to hear from you, all material will be credited – that is, of course, if there is sufficient interest. Simply get in touch via the “Contact Us’ tab in the Menu bar on the left of this page. Well, fellow Roverites, my 25 has now covered a thousand miles since my ownership commenced – unfortunately, though, that ownership experience has not been as uneventful as Keith Adams’ with his Rover 620. I knew there were some outstanding items to be attended to since I purchased the car from a friend, but I honestly didn’t think I would spend as much time fettling and furnurkling as the car has needed. It’s like going back to the days when I had Marinas, Itals and MG Maestros… every weekend something needs oiling, tightening or tapping with a hammer! I’m not complaining though, nor does the missus – how else, for example, would she have full control of the Sky+ handset? I’m sure that, before I bought this infernal 25, she honestly thought that Sky only ever broadcast The Professionals, The Sweeney and re-runs of Top Gear. I am the first to admit that I do actually suffer from, if suffer is the right word, a very mild form of Obsessive Compulsive Disorder and no, before you ask, I don’t lock the front door 45 times or hop over every crack in the pavement either. No, what my behaviour amounts to is that I do a lot of things in a certain methodical order and can get over critical of myself with nothing ever seeming right or good enough. My family and close friends simply view it as me being fussy and eccentric. This is one of the reasons I like to have a car that’s not perfect – even when I have run company cars, there has always been an old knacker parked in the garage or on the drive for me to wreak havoc on. However, this weekend, the Rover 25 has been getting the works here in (very) leafy West Sussex. There have been a whole sheet of items I’ve been aching to get sorted, namely various squeaks, rattles and things not working. You see, as many of you in AROnline readerland will already know, Rover instigated a policy of adding value to the car, initially known as ‘Operation Teardown’ then renamed into a more palatable ‘Project Drive.’ The objective was to make the cars cheaper to build by removing certain parts or features which MG Rover thought the buying public wouldn’t mind or notice – this, in fact, played a vital role in saving the company hundreds of thousands of pounds in addition to making the company leaner. 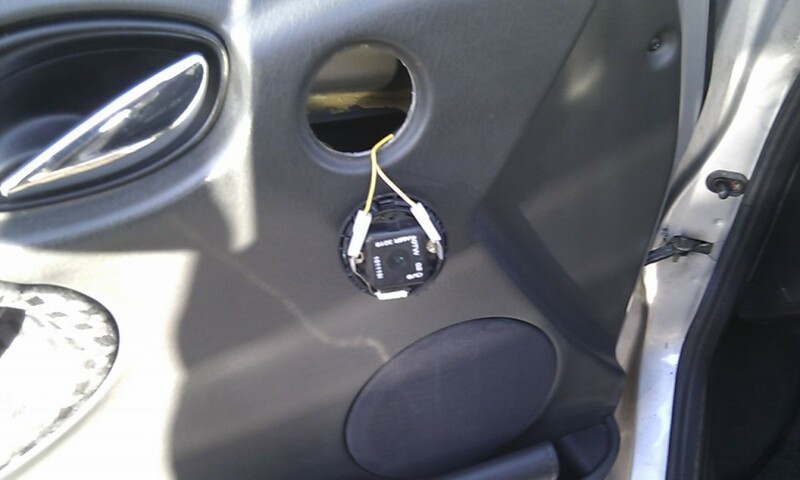 Various money saving tactics were also employed where the eye couldn’t see – fewer clips were used to hold in items such as ancillary wiring and door trims, this being the main cause of the chorus of squeeks and rattles my dear little car had been suffering. By visiting my local breakers yard, I obtained some wiring clips, sound insulation and a pair of door tweeters from a 218Vi, the latter items transforming the sound coming from the Grundig Rover CD unit and the door speakers. The truly horrible ‘sports’ effect dash and heater surround trim have given way to the traditional Rover burr walnut from an early R3-shape 214 – these earlier facia trims were actually real wood and look superb on a sunny day. Another annoying fault was the loose cigar lighter which would detach itself and come out of the centre console when you unplugged the satnav or phone charger. This was replaced with a new spare part found in the garage while, at the same time, I replaced the blown pin bulbs in the switches and added a neat little ashtray illumination last fitted on the very earliest of R8 200s. Some may say this is going overboard, but I reckon it makes the driving experience so much more pleasing, especially at night. A dead Freelander kindly donated its stitched leather gearknob and this heavier than the standard item actually improves the quality of the gearchange too. The once well-known Rover badges on the rear 3/4 flanks that were deleted on later Rover cars now adorn the panels and the most annoying of all noises coming from the cheap-feeling fusebox cover has now been silenced, cured by glueing some black foam rubber to the back over the cover. Three hours of fettling has now given me one of the nicest driving experiences in a small hatchback. I simply cannot believe the refinement and smooth driving of these cute and curvy cars was once spoilt by a plethora of squeaks, chirps and rattles. Overall fuel consumption seems to be in the high-’30s while no water/oil has been required. I’m now starting to enjoy this little car, but I am in need of a drivers’ side wing (paint code MNX) and a drivers’ side head lamp so, if anyone has one and wishes to pass it on, please get in touch! Upon leaving school, Mike was destined to work on the Railway but cars were his first love. An apprenticeship in a large family Ford dealer was his first forray into the dark and seedy world of the motor trade. My 25 was very good – only a local garage let it down. I have to admit they’re fantastic little cars, just like the earlier 200s. 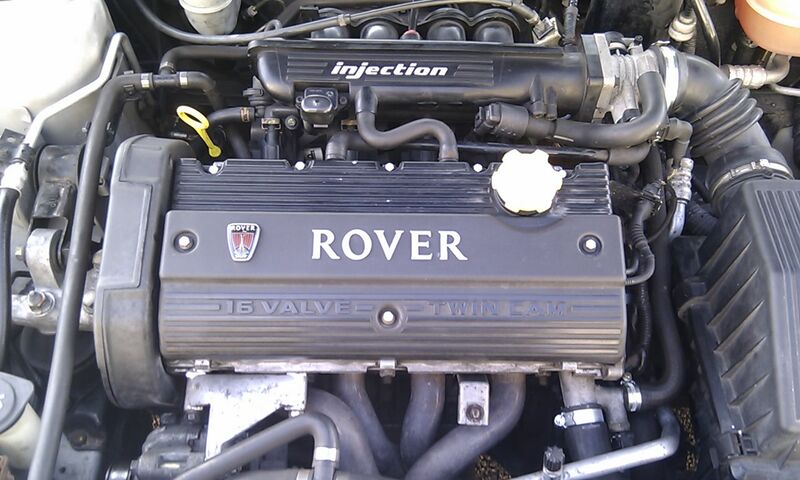 Makes you wonder what would have happened if Rover had marketed and priced the R3 correctly. I cannot think of one single area where a 1999 Peugeot 206 would be a better car than my 1999 Rover 214. I owned a desperately unreliable Mercedes W202 and so acquired my slightly accident-damaged 214 for £430 to get me through until I could afford another car. Now, a year and 20,000 miles later, it’s flown through an MOT and although it’s suffered a few niggly and irritating faults they’ve been nothing serious. All in all, I think I’ve spent £100 on fixes and maintainance. Yes Nathan, Rover got a tad cocky with the R3 and marketed the car in to high a class. Initial sales were very strong but soon faltered as the age-old gremlins of wonky engines and high purchase price blighted what could have been a very big selling car. 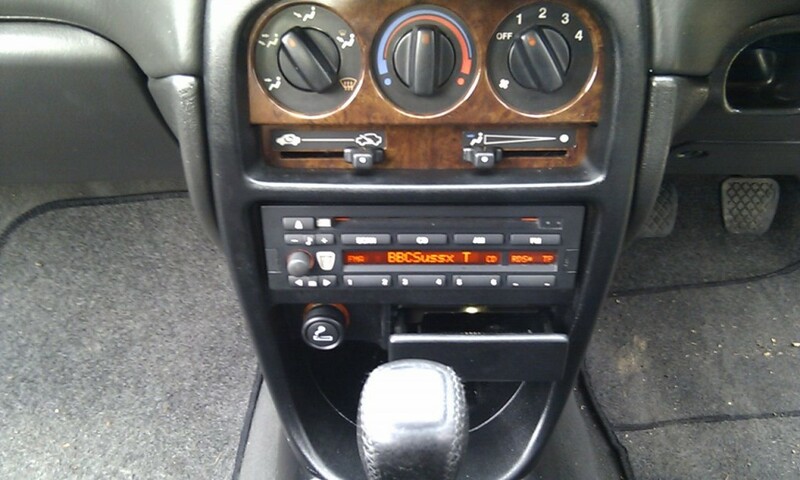 Surely the pictured heater dial surround panel is not wood, but a relatively cheap print on brown plastic. I found it so unconvincing that I replaced it with the black panel from an older 216 that does not try to pretend anything else than black plastic. Sadly, the last Rovers to use wooden trim from properly matched veneers were built before the R3 was launched. It’s quite amazing what was left from the cars. The last Montego Estates here in Germany came with tweeter grilles fitted, but no speakers behind them (the brochure suggested otherwise). Early R8s came with proper high quality two-way front speakers but our late Tourer had very cheap and nasty sounding wide range speakers as standard fit. The Rover 200/25 still looks a neat and tidy design – I’d love one of those BRM models. It’s aged better than some cars of the same period and I feel we will be seeing 200/25/ZRs for many years to come. ZRs seem to be very popular with the younger drivers and that could be a good way of keeping the MG brand a live whilst MG get their arse into gear with the forthcoming MG6. Simon Woodward :The Rover 200/25 still looks a neat and tidy design – I’d love one of those BRM models. It’s aged better than some cars of the same period and I feel we will be seeing 200/25/ZRs for many years to come. I agree, the R3 has aged very well and the 200 BRM LE was a particularly inspiring addition to the range, albeit rather late on in the day. I remember with fondness when the R3 was launched. It looked youthful, yet also classic too, thanks to the pronounced shoulder-line running the full length of the car and the elegant looking grille. All the launch colours really suited the R3 and both bodystyles looked quite classy. Even the ‘Englishman in New York’ television advertisement successfully married together the R3’s fun-loving appeal with traditional Rover values. The transition into the Rover 25 was also well executed, although I will never understand why the rare GTi derivative is regularly forgotten in preference to the 200 BRM LE and later MG ZR 160. The 2003 Model Year Rover 25 did bring one feature I liked – the ivory coloured instrumentation gauges. It’s just a shame the R3 was pitched in the wrong sector of the market and at the wrong price. I, too, hope that we will continue to see plenty of well-cared for and enjoyed R3 200s and the later 25s for many years to come. I agree – the R3 was developed on a shoestring and it turned out to be a good little motor. 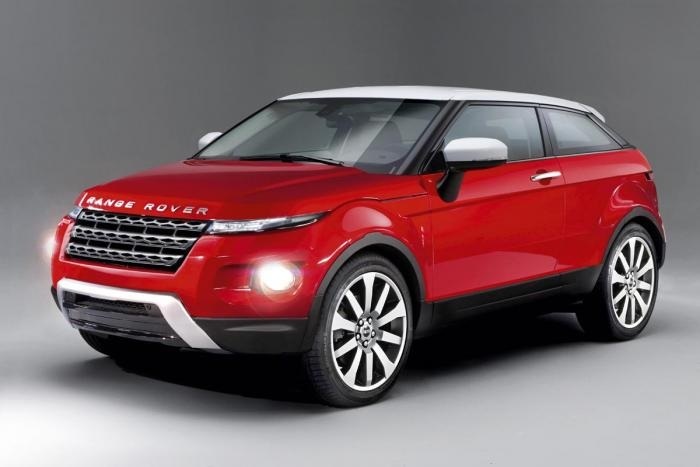 It should have been pitched straight at Ford Fiesta and Peugeot 206. I should also mention that my mate used a 220D on the Police Force and thought it was great for chasing the baddies around Brum. 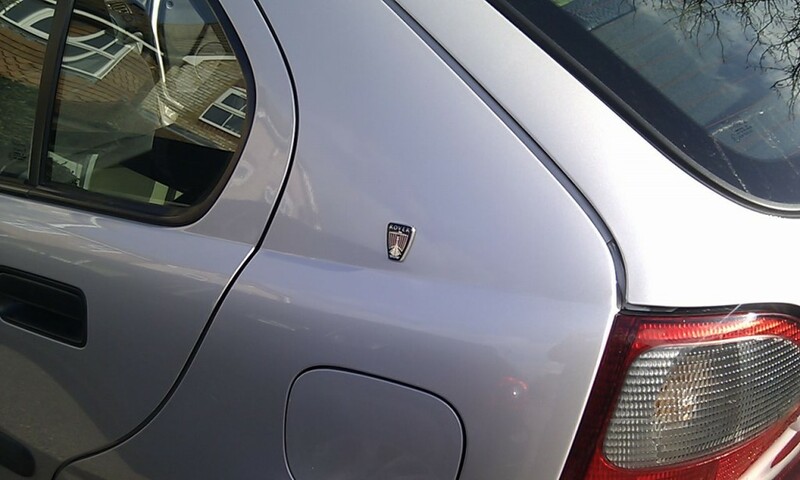 The Police reckoned that the diesel really suited the car. The R3 signalled the time where Rover got it so wrong! It was easily a class-leading car but was pitched at the wrong market segment – it would have wiped the floor in the Supermini class. I am now on my second R3, both being diesels. They were easily Rover’s best kept secret – OK, a bit rough sounding when cold but 110% bullet proof, fab cars for covering stonking mileages, good around town and fab on the motorway. Admittedly, there was a noticable drop in quality over the R8 though that was still fine for the Supermini sector. Removing the wad of polystyrene stuck to the back of the carpet under the clutch pedal improves the cramped footwell massively. There was a proper clutch foot rest on the R8 – a strange bit of cost-cutting. I had a new full-price 200 SDi in the late mid-90s and it was a superb piece of kit. Dreadfully overpriced compared to the Focus and Astra of the time but everyone who drove it liked it – if it had been cheaper, then it could have been a winner. I did experience a later 25 in 2002-3-ish and wondered why it didn’t feel as good. At the time, I put it down to being over familiar with my 200 (I did 60K in it in 18 months) but I now wonder if the project to save money was the real reason. I hadn’t had a newer car in between- just a Daewoo Matiz (a mistake, avoid at all costs) and a Fiat Bravo so nothing of a newer vintage. As for the book, yeah I think this would be quite good. Mind you, I am an anorak for reading stuff like this. PS: I would entertain a late model 25 Diesel – maybe if low mileage. I sold my 2005 25 1.6 SXi Stepronic and bought it back. I love it – it’s a gold colour and looks the biz.